Arrgh, I've misplaced my camera. Where did I leave it? 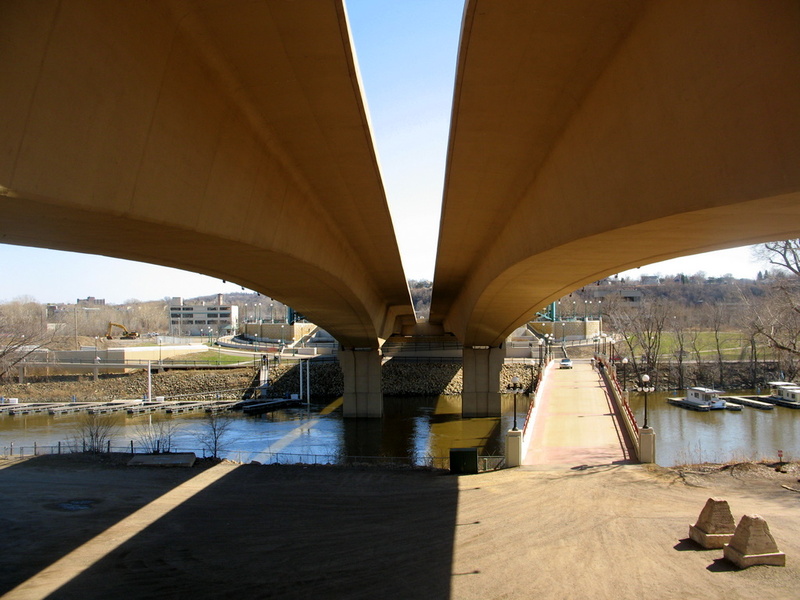 For the photo....Standing under the Wabasha Street Bridge in St Paul. Great shot, I have a lot of trouble with a shot like this, I can’t seem to get the correct settings for aperture and F stops. More often then not I over expose the daylight areas. I saw a truck the other day called Slinger truck lines, I cracked up the guy driving it was a real piece of work!